Unfortunately, Americans don’t eat enough fish as well as some of the more obscure treasures from the sea that provide great nutrition. This month’s challenge is to create an appealing recipe using “little fishes” (sardines, anchovies, smelts, etc.) or sea vegetables (kelp, seaweed, etc.) Expand your readers (and your!) ocean horizons to these culinary treats. Place all ingredients in a food processor and blend until combined. Pour dressing over salad or vegetable of choice. 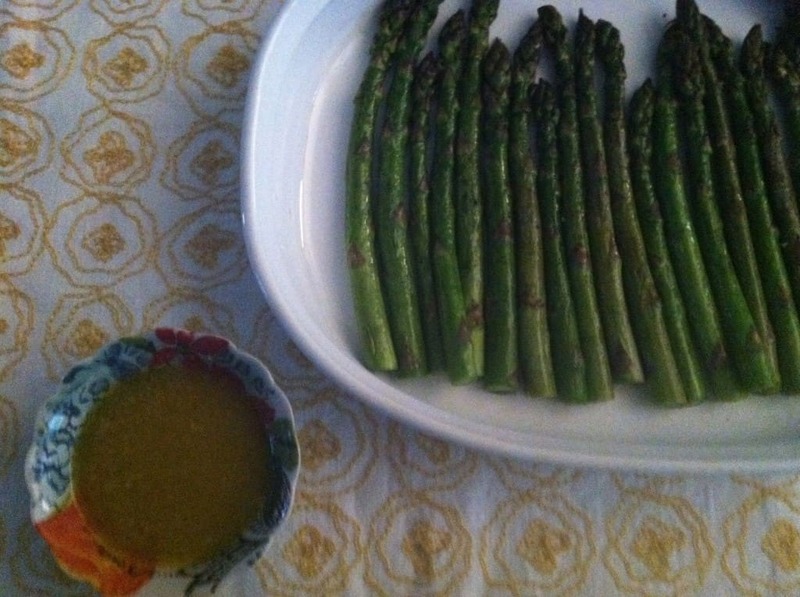 I drizzled the dressing over roasted asparagus. 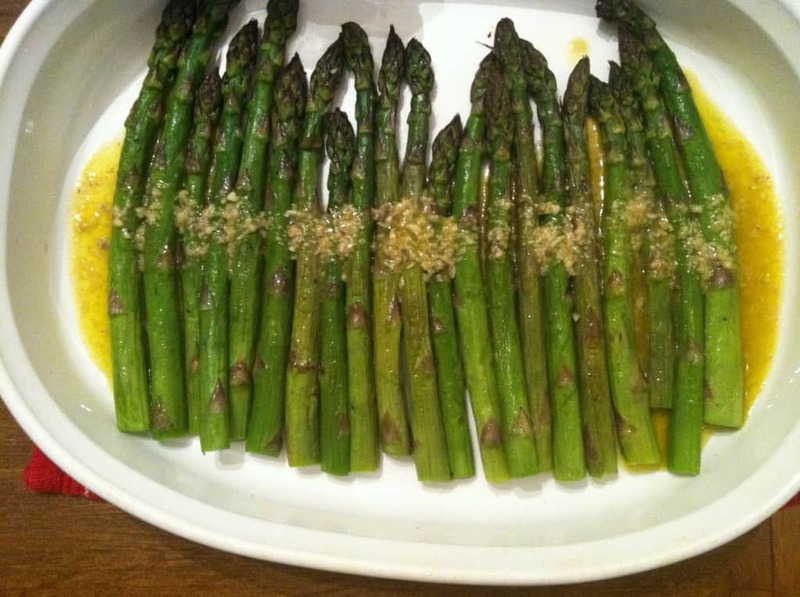 I brought this vegetable dish over to a friend’s house for dinner. 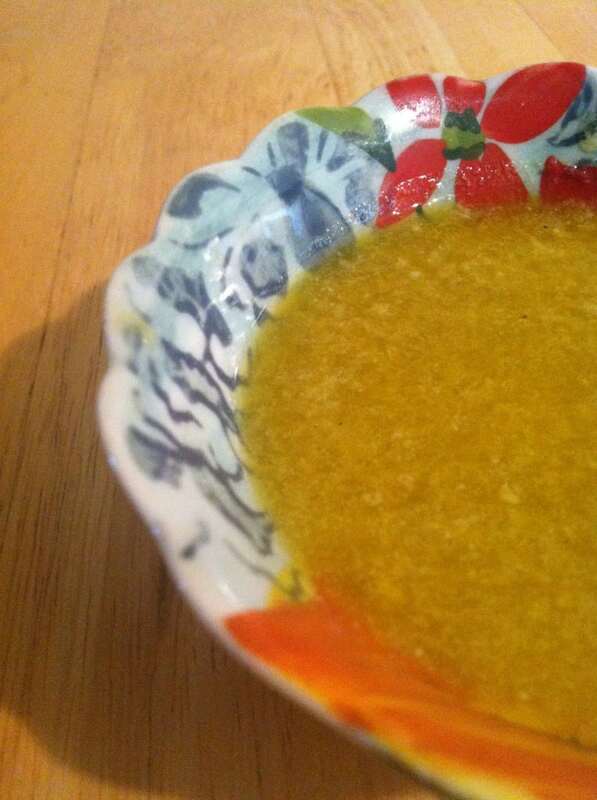 No one could guess what the “secret ingredient” was until I disclosed the theme “from the sea”. Everyone loved the dressing and kept telling me “it tastes like Caesar!” Hence the name, “Tastes like Caesar” dressing. This version’s a bit healthier in that we’re not adding any mayo or egg yolks here. Bon Appetit! As you’re cooking up some sea-licious meals this week, Steve and I will be relaxing and soaking up sun in Mexico! Vacation time! 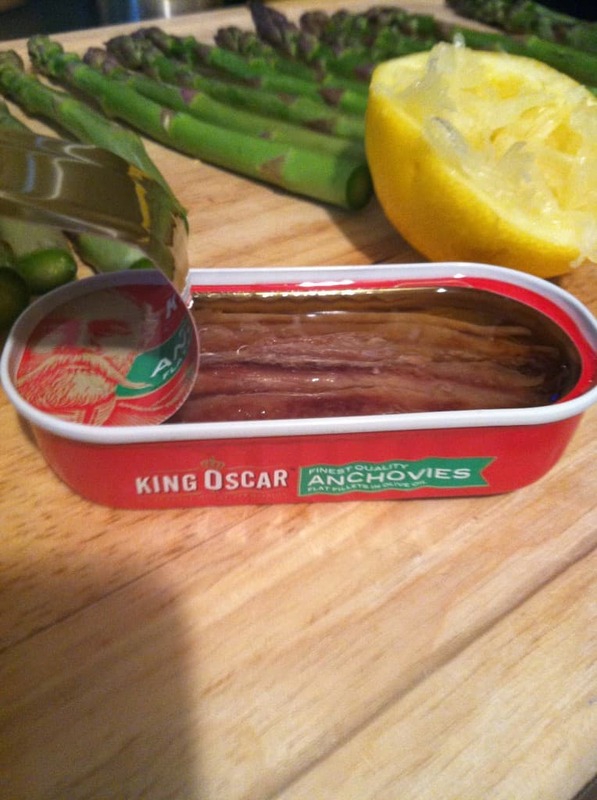 Thank you Kara for a fantastic way for me to use the waiting cans of sardines in my pantry! I knew they were extremely healthy for me but “How” to enjoy eating them was the problem. I am now anxious to try this out on my favorite vegetable! You’re so welcome, Bettie! I’m with you – I don’t like eating sardines out of the can but you don’t even realize they’re in this dressing and it gives it great flavor. Hope you like it!